Police are believed ready to lay charges soon against those allegedly involved in the murder of Russian couple, Yuri Shipulin and Nataliya Gerasimova. Well informed sources say there may have been some local involvement in the murder, which had attracted a lot of attention, both locally and internationally. However, it could not be confirmed by the Fiji Sun as to how many people might have been involved. the Director of Public Prosecutions Office on September 26. No information could be obtained on the contents of the file or the Police investigations into the case. Director of Public Prosecutions Christopher Pryde was out of the country at the time the file was handed to his office. He could not be reached to comment yesterday. Police spokesperson Ana Naisoro also could not be reached for comments last night. Mr Shipulin and Ms Gerasimova mysteriously disappeared after leaving their farm at Kachiqari, off the road leading to Nausori Highlands in Nadi after midday on June 16. The only other sighting of them was through a Police report that they were seen at Denarau having a few drinks. Their disappearance was reported by their business partner and fellow Russian, Andrew Luzanenko, who also lived with them on the farm. Police recovered the couple’s vehicle, registration ‘PILOT’ on the evening of June 17 but the couple were missing. 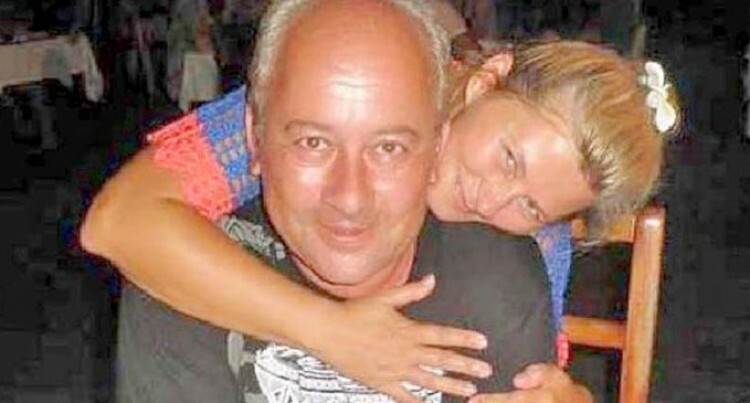 On June 24, the first pair of feet was found, confirmed by DNA to be that of Mr Shipulin and two days later, the second pair and belonging to Ms Gerasimova was found. A decapitated head, later confirmed through DNA as that of Mr Shipulin, was found wrapped in the same type of netting as the pairs of feet were found previously at Natadola Beach on August 3 by a New Zealand couple. On September 20, a Police dive team discovered what was believed to be a body part of Ms Gerasimova. The body part was severed from below the navel and just above both knees. The dive team recovered the wrapping which contained the body part at a section of the reef, not far from where it was spotted a couple of nights earlier. A villager, while diving for fish that night, had come across the wrapping stuck at the bottom of the reef. The distinct feature that stood out with all three finds were that they had similar wrappings in green netting, stones to weigh down the parts and similar blue coloured fishing line that held the wrapping together.